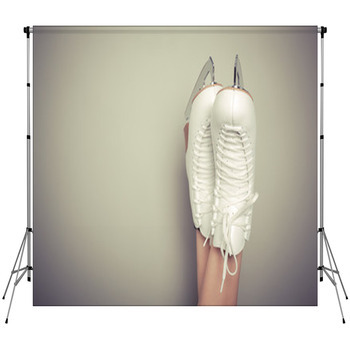 Having our ice skating backdrops in your studio backdrop portfolio will set you apart from other photographers. 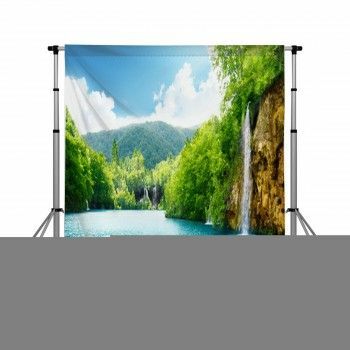 That's because you'll now be able to offer your young subjects backdrops that showcase a sport they love. 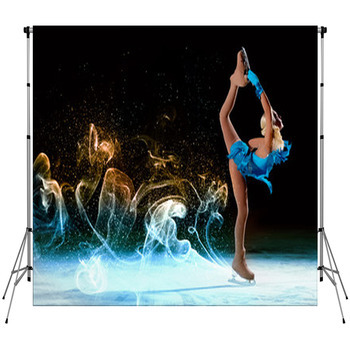 Give a teen boy ice skater a beautiful skating partner to pose with by standing him in front of a custom size backdrop that displays an illustrated female ice skater. She is wearing a soft violet tutu, extending one leg straight above her and reaching out a hand across the white background of the backdrop where your smiling subject is posed. 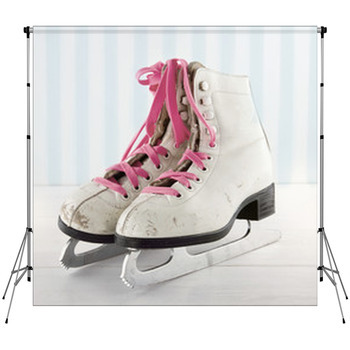 And little boys will adore a photo backdrop that lets them join a cute cartoon girl skating across a frozen pond on pink ice skates. 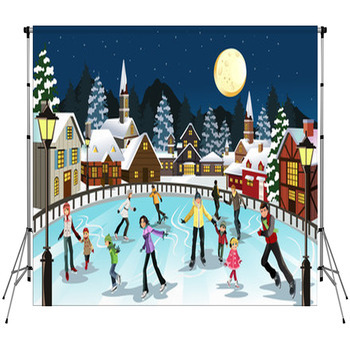 She has enormous blue eyes and is waving a green mitten in the air as she enjoys a winter day of ice skating beside snow crested green evergreen trees. 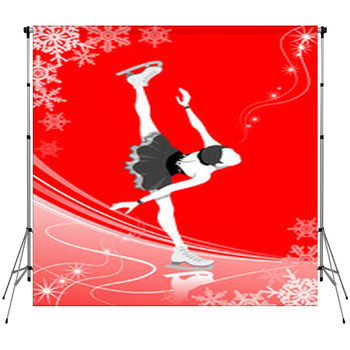 Ice skating is one of the most popular and passionate sports for girls. 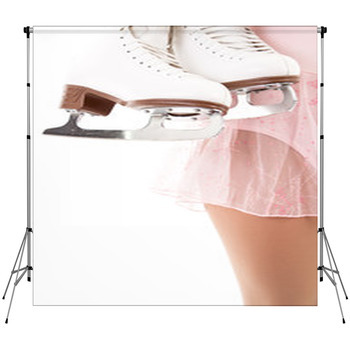 So when your clients ask you to photograph their daughters, make sure you have an assortment of custom ice skating backdrops to select from. 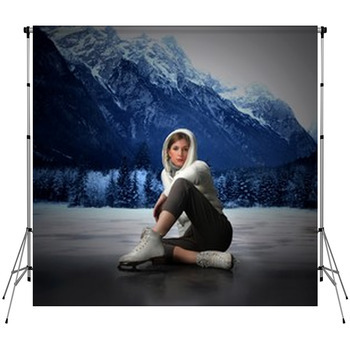 Choose photographer backdrops that show a pair of professional ice skaters demonstrating where their years of hard work have gotten them. 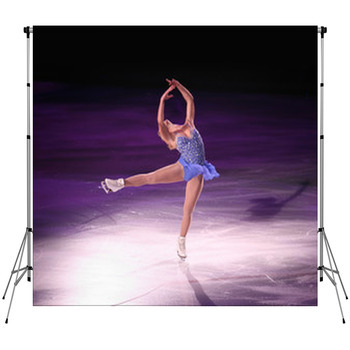 This pair is dressed in deep pink velvety outfits as the man holds the woman in the air with one arm and glides across the ice beneath spotlights and cheering fans. 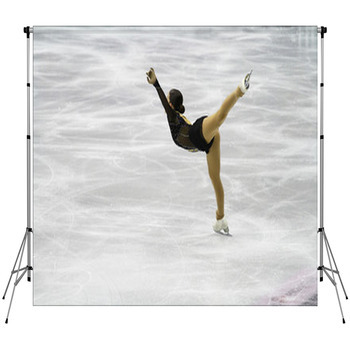 When you want a simpler ice skating backdrop design, use a backdrop that depicts the black silhouettes of five solo ice skaters and one couple on a plain white background. 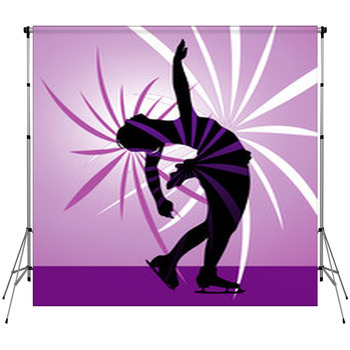 These ice skaters are bending, arcing and pirouetting across the ice. 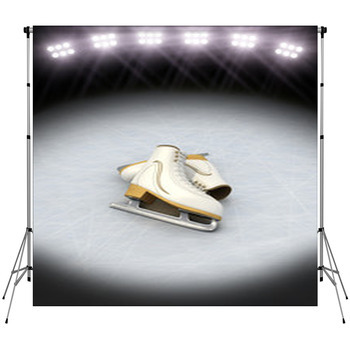 An even simpler backdrop displays the essential equipment of ice skating, a pair of white ice skates in a close up photo.